Welcome to yet another episode of Reading with Your Kids Podcast! Today, we’re ELATED to be joined by Theodore Jerome Cohen, Author of wonderful children’s book series for the early years titled Pepe Builds a Nest, Fuzzy Wuzzy & Rufus Finds a Home. Dr. Cohen is joining us to talk about his latest releases, his journey from writing Sci-Fi novels for adults to writing for little children, his experiences in Antarctica which inspired him to write Pepe Builds a Nest & How did he get from penguins to bullying? Be sure to tune in and you will be amazed by what Dr. Cohen has to say! Theodore Jerome (Ted) Cohen is an award-winning author who has published more than ten novels—all but one of them mystery/thrillers—and two books of short stories. 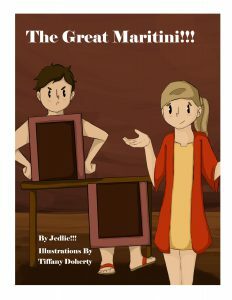 He also writes illustrated storybooks for children (K-3) in the series Stories for the Early Years. During the course of his 45-year career he worked as an engineer, scientist, CBS Radio Station News Service (RSNS) commentator, private investigator, and Antarctic explorer. What he’s been able to do with his background is mix fiction with reality in ways that even his family and friends have been unable to unravel! 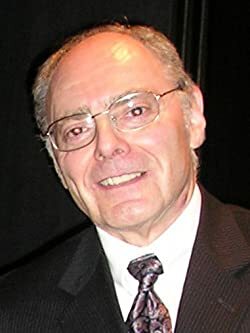 Dr. Cohen’s writings (he holds three degrees in the physical sciences from the University of Wisconsin – Madison) have received the highest reviews from Feathered Quill, Hollywood Book Reviews, Kirkus Discoveries, Pacific Book Review, Reader Views, and Readers’ Favorite, among others. In addition to his adult and children’s books, Dr. Cohen writes Young Adult (YA) novels under the pen name Alyssa Devine. His YA novel The Hypnotist (Lexile® measure 930L) currently is in the Core Genre (Mystery) Reading Program at Neshaminy High School in Bucks County, Pennsylvania, where he is a guest lecturer on the subject of mystery writing. Dr. Cohen and his wife, Susan, live in southeastern Pennsylvania, not far from where Washington crossed the Delaware River to surprise the Hessian forces in Trenton, New Jersey, on the night of December 25-26, 1776.
bringing Pepe and Otto together as friends! Dr. Cohen talks about Pepe Builds a Nest & describes its main characters. Dr. Cohen tells us this book is a story about making the right choices and standing up to bullies & how bullying is a prominent topic across most schools. He explains that Pepe Builds a Nest is Book 1 in his Stories for the Early Years series. Book 2 is titled Rufus Finds a Home. It deals with empathy and what it means to sometimes have to give up something you love. The third book, Fuzzy Wuzzy, is about a bear cub who learns the hard way what can happen when you don’t listen to Mama! Listen as DR. Cohen describes the main characters of his books and other fun facts.Happy Listening! Finally, where can we find Dr. Theodore Jerome Cohen? PreviouslyElara, STEM Girl: Children’s book to inspire a love for STEM! Read NextMeet Nicholas Rossis, Author of Musiville & Runway Smile!